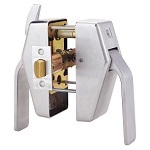 Cylindrical locks fit into a bored prep in the door. 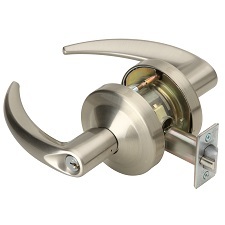 They get their name from the cylindrical lock body that is installed in the door. These are the most common type of lock used. There are many functions available including electrical options. Another important part of the locks specified on a project are the cylinders and keys to be used. 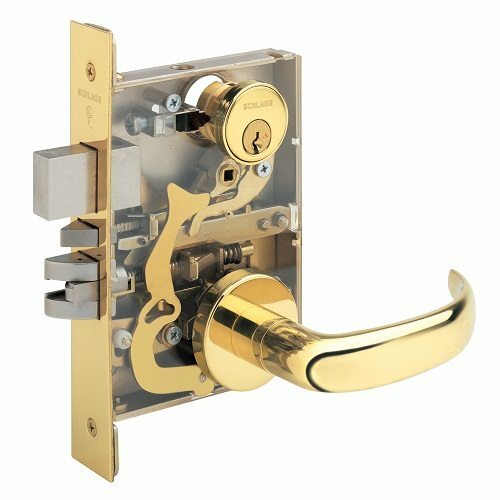 There are many advantages to selecting mortise locks because there is a wide variety of functions and trim designs available. They are also known for their long-lasting durability and low maintenance requirements. These are installed into a rectangular pocket (or mortise) in the edge of the lock stile of a door. 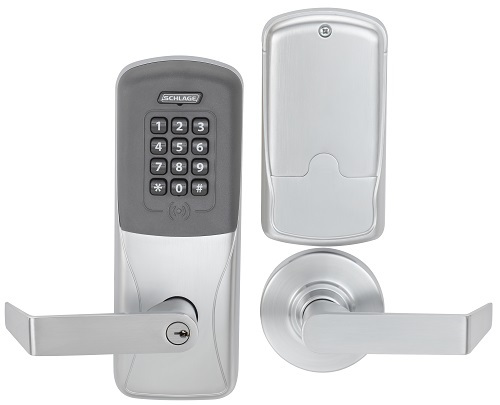 Cylindrical and Mortise locks can be wired and connected to an access control system. These will require some type of power transfer. Electric locksets can be stand-alone units or tied into a complete system in your building. 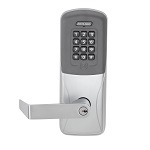 They can have card readers or keypads built into them or controlled by a credential reader mounted to a nearby wall, the door frame itself, or controlled remotely. Learn more about electric hardware and access control components. 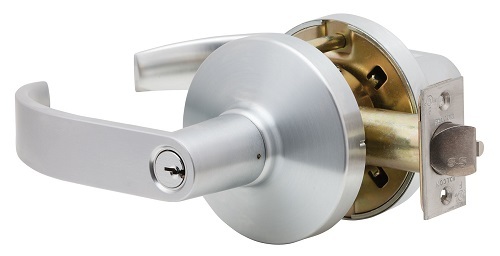 Deadbolts are auxiliary locks that provide additional security to an opening. They can come with thumb turns, cylinders on both sides, or a blank plate on one side. 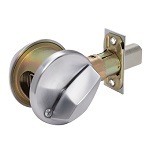 There are mortise and bored deadbolts available. Learn more about deadbolts. Hospital latches have paddles that can be engraved or smooth and mounted on the door vertically or horizontally. The backset can vary depending on the lock body and mounting style selected. These can be passage function, locking function, or privacy function. 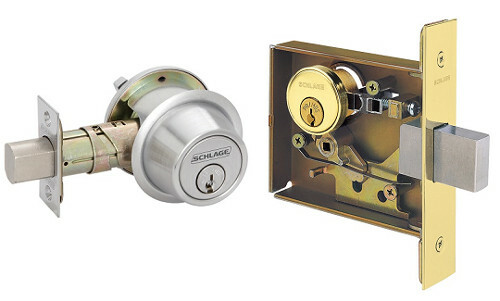 Each type of lock comes with various locking functions. Depending on the security of your building and the type of space you are securing there may be several ways to accomplish the function of your door. 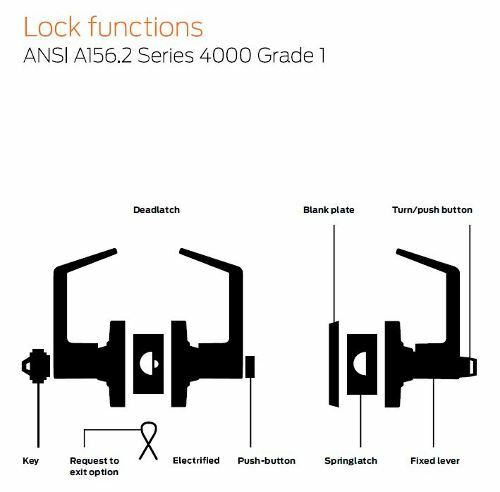 Learn more about the lock functions available. 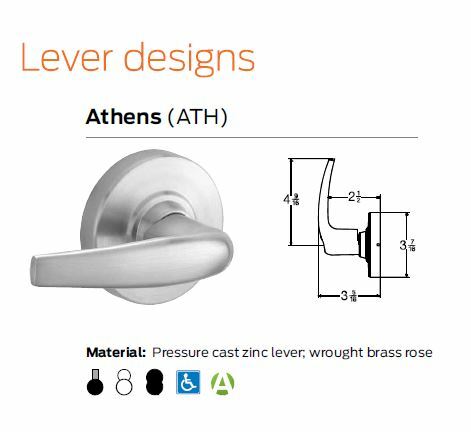 There are many lever styles and finishes available to suit the design of your space. Levers are the preferred style due to ADA requirements. 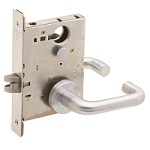 See the common lever designs available from many of the most popular brands. We want to do it right the first time and every time. 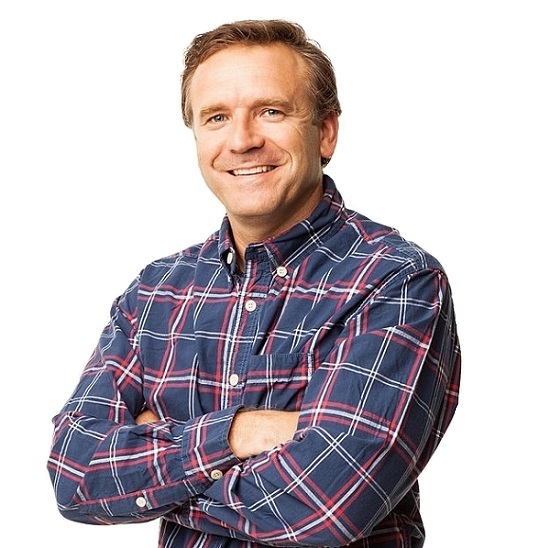 Our experienced team is ready to assist you in your hardware needs.